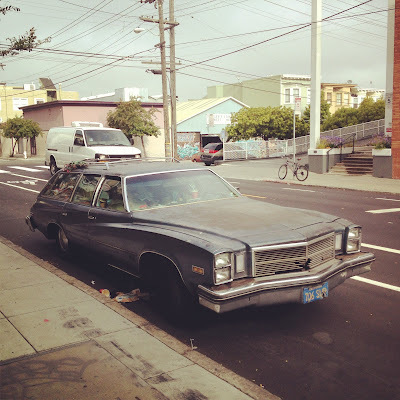 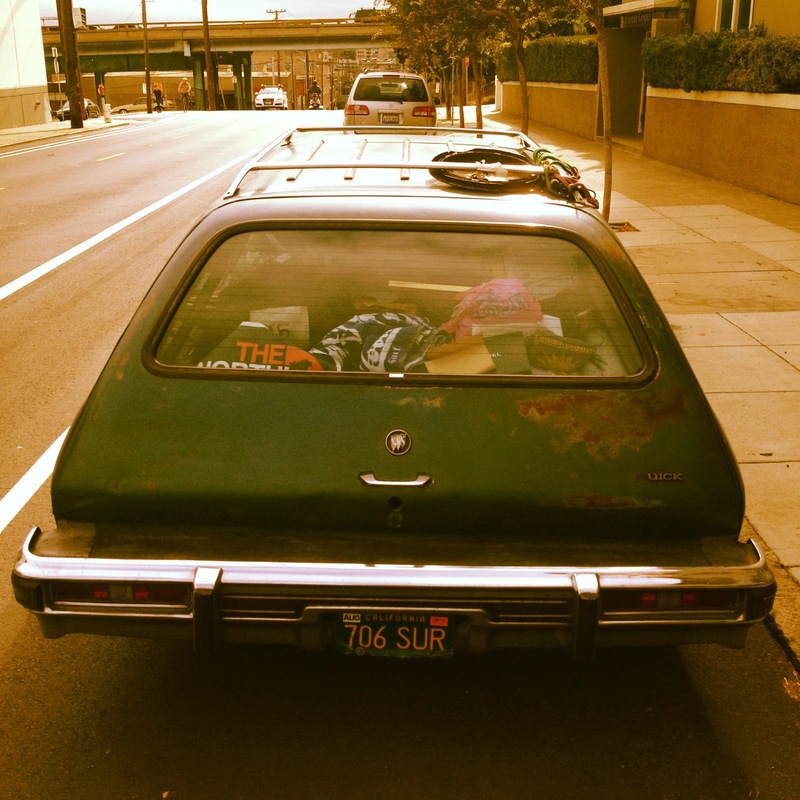 An elusive Buick Century wagon on the streets of San Francisco. 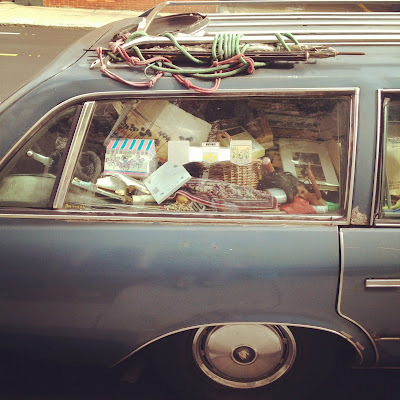 No one ever accused a Buick wagon of lacking storage space. Note the creepy SF fog in the top photo.